Marijuana use is quite common in the United States. 22.2 million Americans report having used marijuana in the past month, making it the single most widely-abused illegal drug in America. As more states have legalized marijuana use, this number has continued to climb. Use and abuse of marijuana has been known to cause serious symptoms such as the loss of brain cells, inability to focus and concentrate. For some, it may become necessary to attend marijuana detox. Serious abuse can cause issues with the ability to function in society and lead to personal and psychological problems. One of the best ways to beat marijuana addiction is by enrolling in a marijuana detox program. With supervised care and attention, you or a loved one can safely detoxify, and break the cycle of addiction once and for all. Marijuana withdrawal is very real, according to multiple studies. Here is what to expect if you or a loved one begins the marijuana detox process. When does withdrawal start after stopping use of marijuana? Typically, withdrawal symptoms begin to appear about 24 hours after the last use, and peak after 2-3 days. Depending on how heavy marijuana use has been in the past, withdrawal can last a very long time. 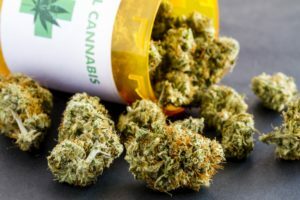 Common symptoms of severe, acute marijuana withdrawal include night sweats, increased anxiety and irritability, problems sleeping, and decreased appetite. These symptoms tend to peak after 2-3 days but may persist for a much longer time. What are the more serious issues caused by detoxing from marijuana? Headaches and nausea are the two most serious issues caused by marijuana detox. However, insomnia and problems sleeping can also intensify these problems. There is a relatively low risk of serious complications when quitting “cold turkey”, unlike some other drugs such as heroin and alcohol. Why can it take so long to fully detoxify? One reason marijuana takes a long time to detoxify from is that it stays in the body for a very long time. The THC particles in marijuana bond to the “endocannabinoid” system. For heavy users, the most common half-life of marijuana in the body is 5-13 days – compared to the 6 hour half life of other hard drugs like cocaine. What is the difference between home detox and supervised programs? A home detox program has risks, such as the participant using the drug again. In addition, the effects of acute withdrawal cannot be monitored, so it may be more difficult for the individual to get through the process. However, supervised detox clinics employ experienced professionals on-site who can monitor individual drug users, and ensure their needs are met during the detox process. The process of marijuana detoxification is not easy, and it’s not pleasant. However, a supervised program from Windward Way can ensure that patients are comfortable, and have the best possible chance of beating their addiction. Some might say that a detox for marijuana isn’t necessary. Windward Way’s experts know better—we realize that heavy, daily pot use can cause many psychological and physical complications. You can rest easy knowing Windward Way’s medically supervised marijuana detox has both the comfort and the safety of our clients in mind. After detox, patients will transition into their own uniquely crafted marijuana addiction rehabilitation program. Windward Way will then formulate the structure, custom-made, within our dually accredited drug rehab. It’s often just the thing men nee. Discover the freedom of a life without drugs or alcohol. Call us to “press reset” on your life. Give yourself another chance you deserve with Windward Way: 855-491-7694. Since the professionals serving at Windward Way are well-acquainted with as many addiction types that young men struggle with, you also can be confident that you—or another man you care about—will receive only the most informed, highest value addiction treatment possible. A marijuana addiction rehab center doesn’t have to be something you dread attending. The plain truth is what our graduates know: that Windward Way’s addiction treatment program set them on the right track again. We’re here for you, right now. Discover how you can learn how to live life without marijuana constantly dragging you down. Discover the excitement a life in long-term recovery that Windward Way can provide. Call us now at 855-491-7694.